LOS ANGELES, CA: Julian Construction Inc. (julianconstruction.com), a home foundation repair and general contractor company in Los Angeles, recommends that homeowners look at the long term benefits of installing solar systems on their home. The company has found that energy savings as well as property savings can be realized as a result of installing a solar energy system. 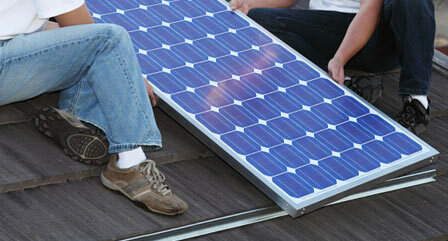 The company has installed many such systems for homeowners. In 2011, the International Energy Agency said that “the development of affordable, inexhaustible and clean solar energy technologies will have huge longer-term benefits. It will increase countries’ energy security through reliance on an indigenous, inexhaustible and mostly import-independent resource, enhance sustainability, reduce pollution, lower the costs of mitigating climate change, and keep fossil fuel prices lower than otherwise. These advantages are global. Hence the additional costs of the incentives for early deployment should be considered learning investments; they must be wisely spent and need to be widely shared”. Julian Construction has many years experience in the installation of personalized home solar energy systems, most often during the process of re-roofing a home. State and federal agencies offer tax benefits and rebates to homeowners who install clean energy solutions such as solar systems, in addition to the direct energy savings.